In any BLE application, there are (at least) two devices involved: a BLE Peripheral device and a BLE Central device. Usually, the BLE Central is a smartphone, but that doesn’t mean it has to be! you do not want to have to launch an app everytime you want to control a BLE Peripheral? you want to have a dedicated device that acts as the remote control for the Peripheral device? you want to learn more about how a BLE Central works and how to develop one yourself? In this case, a dedicated BLE Central device can make a lot more sense than using a smartphone! 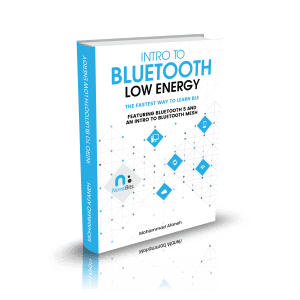 I have been looking at many bluetooth 5 blogs and tutorials. Many concentrate on peripheral examples and never provide a central example. Would you please consider writing a simple example for custom project on nrf52840pdk which mirrors and works with your example in ble_lightbulb.zip? 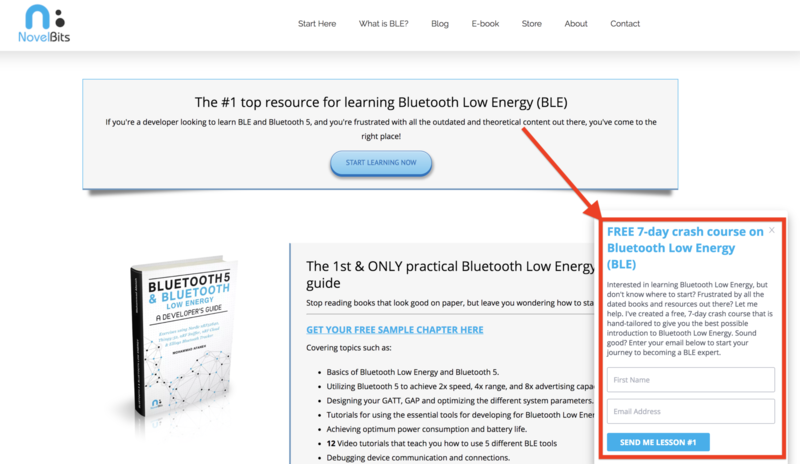 The example (ble_lightbulb.zip) Kevin is referring to is the BLE Lightbulb application example we discussed in my previous tutorial: How to build a smart BLE Lightbulb application using nRF52. In this blog post, we’ll be going over how to build a remote control device based on the nRF52840 preview development kit provided by Nordic Semiconductor. This development kit will be used to connect to and control the BLE lightbulb application we built in the previous tutorial. To follow along with this example, you’ll need to know the basics of BLE. It does not require you to have in-depth knowledge of BLE. In fact, I recommend you do not spend too much time going through the theory and skip right into developing a BLE application and getting your hands dirty once you’ve gone through learning the basics. For this specific post, knowing a little bit more about BLE Central applications will help. Scan for the BLE Lightbulb we built in the previous tutorial. It will specifically look for a BLE Peripheral device advertising with the name “BLE_Lightbulb“. In my setup, I’ll be following the structure in the previous tutorial. I’ll be creating a new folder named “ble_lightbulb_remote_control” under the folder “BLE Projects” I created previously. Inside this new folder “ble_lightbulb_remote_control”, I’ll be adding and developing the code for this application. The Database Discovery module is what handles discovering the GATT Services and Characteristics on a BLE Peripheral device by the BLE Central application. In our case, we only need one BLE Central link (no Peripheral links), so we’ll be setting the Total Link Count to 1. A BLE Central Client module that defines the different Services and Characteristics of the target BLE Peripheral device the Central will connect to and interact with. We will be developing this code from scratch in our example. The nRF App Button module to enable detection of the development kit button presses. Now, let’s go over some of the most important parts of the application! Jump straight to the downloads section at the bottom of this tutorial. The most important part of our BLE Central application is the Client module that makes the Central aware of the Services and Characteristics of the target BLE Peripheral device. This makes it possible to read and write to the Characteristics of interest as well as subscribe to Notifications and Indications. For our application, we need to create a Client that understands the LED Service we defined and implemented in our previous LED Lightbulb application tutorial. We’ll be creating two files: led_service_client.c and led_service_client.h. Let’s go over the most important sections of each of these source files. #include #include "ble.h" #include "ble_db_discovery.h" #include "nrf_sdh_ble.h"
/**@brief Macro for defining an led_service_client instance. This follows the method used by many of the examples and SIG-adopted Services in the Nordic nRF5 SDK. Following that, we define the one event we’re interested in: the DB Discovery Complete event. In addition to that, we define a database structure which holds the LED2 Characteristic handle. Finally, we define the LED Event structure that holds all the important information in a BLE event: connection handle, type of event, and the database structure. // Check if the Led Button Service was discovered. The function looks for the LED Service and the LED2 Characteristic that’s contained within it. This is necessary since we need to store the handle that gets referenced whenever we need to read or write a value to the LED2 Characteristic. This function handles both the disconnection event as well as the Write Response event (in response to a Write Request). Notice it utilizes the LED2 Characteristic handle we stored after the Database Discovery is complete. We won’t cover the whole file, but rather focus on the most important sections. /**@brief Function to start scanning. In this function, we also toggle the BLE Central development kit’s LEDs indicate the current state: Scanning. /**@brief LED Service client initialization. /**@brief Handles events coming from the LED Button central module. It handles the Database Discovery event and assigns the handles. * @param[in] p_adv_report Advertising report from the SoftDevice. // Name is a match, initiate connection. If we discover the target BLE Peripheral device (our Lightbulb Peripheral), we initiate a connection to the device. Also, notice that we set the development kit’s LEDs to the Connected state (instead of the Scanning state). Now that we’ve developed the code for the BLE Central device, we will test it and make sure it works correctly. To do this, we will flash the BLE Central to one nRF52840 development kit and the BLE Peripheral application to another nRF52840 development kit (explained in the previous tutorial). To make it easier to follow, I’ve recorded a video explaining the different aspects of the system as well as testing its functionality. To be notified when future tutorials are published here, be sure to enter your email address in the form below! Thank you Mohammad. This is an excellent tutorial for a central example. Now we can test with nrf52-dk to nrf52-dk or nrf52840-pdk to nrf52840-pdk. Many thanks, Kevin. Thanks, Kevin! And special thanks for the tutorial suggestion! Well don presentation! We want to see more on these tutorials and especiall on power train applications. Can you elaborate on the types of applications you’re referring to? Thanks, Jawed. Glad you’ve found it useful! This is great. As soon as I saw the required defines in sdk_config.h, I knew this article would actually make sense unlike many others. Great work! Thanks, qTelec! I’m glad you’ve found it useful. BLE_DB_DISCOVERY_ENABLED is not defined in the sdk_config.h . Not in SDK 15.0 or newer. I found it in the documentation in the version 12.1. Do I need to just add it to the sdk_config.h ? Or is it renamed in the newer versions? By the way: Your tutorials are very good. Nice explained and relatively easy to understand. Good job. Hey! A huge thanks for these tutorials. I’m new to BLE and they have helped me greatly. I do have a question that I have been stuck on for a while, and maybe you could explain how to accomplish it. I want to enable notifications on my peripheral from my central NRF52 device. I don’t really know how to do that and my goal is to be able to read cccd strings from the HVX event when my peripheral sends a notification to my central.